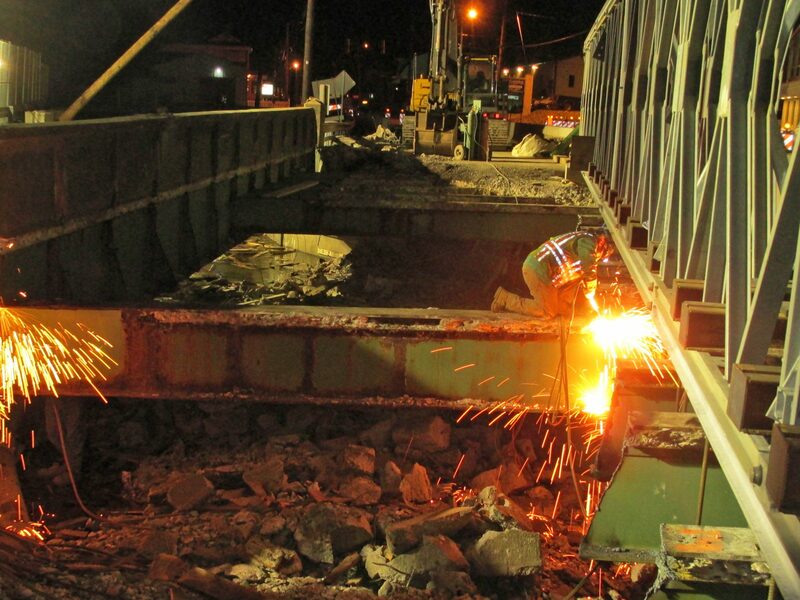 This project consisted of staged replacement of an existing through girder/floor beam bridge. The existing bridge was structurally deficient. 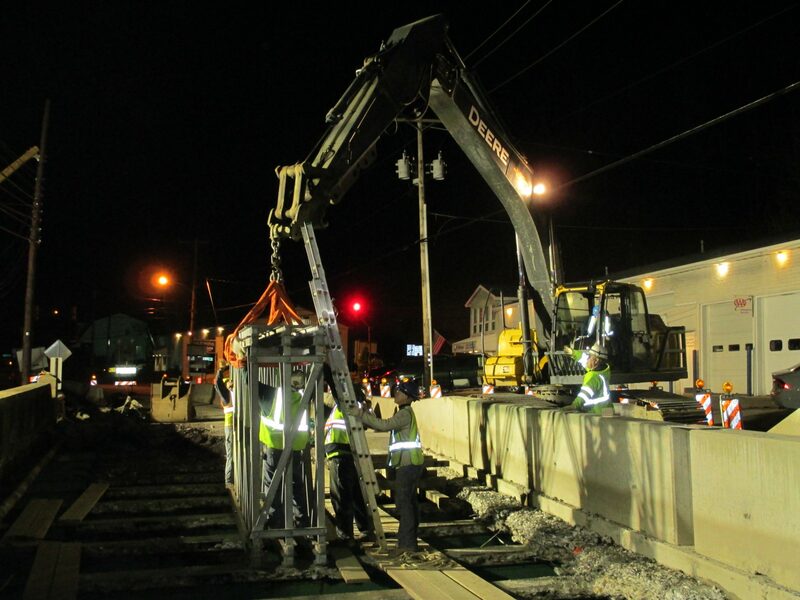 To maintain one-lane, signalized traffic through the project limits, the contract required the Construction Engineering design of a temporary support system for approximately half of the existing floor beam system. A temporary support truss supported on high early strength cast-in-place footings founded on the existing approach slabs were attached to the existing floor beams after part of the existing deck was removed. Attachment consisted of hanger rods and MC support beams. 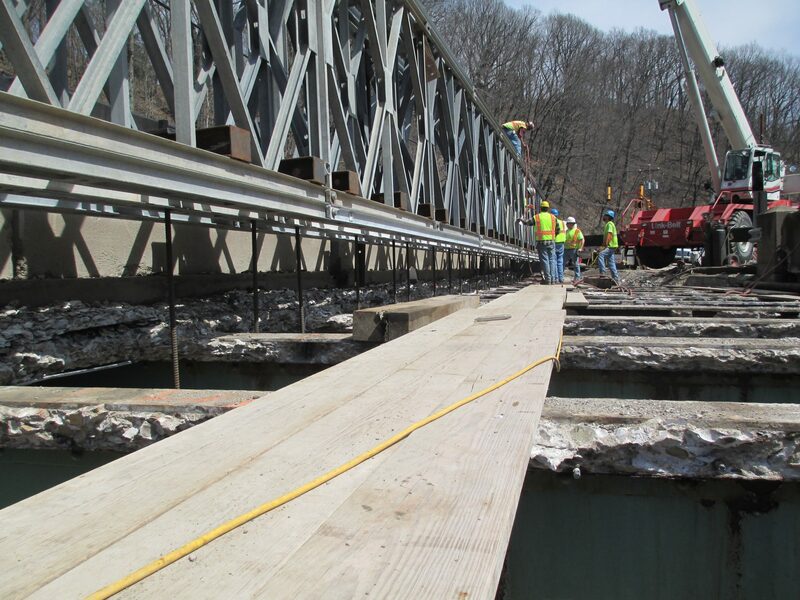 An attachment sequence was developed, and after attachment, parts of the existing floor beams were removed to facilitate the construction of the new rolled steel beam bridge. 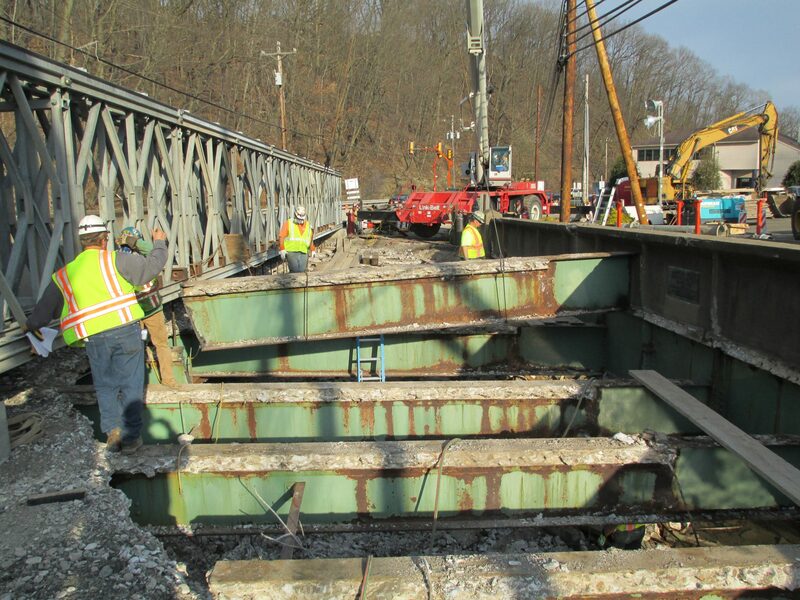 In addition to the temporary support truss system, the contract required a demolition plan submission, a temporary pedestrian route, pedestrian bridge design, and field visit during installation.